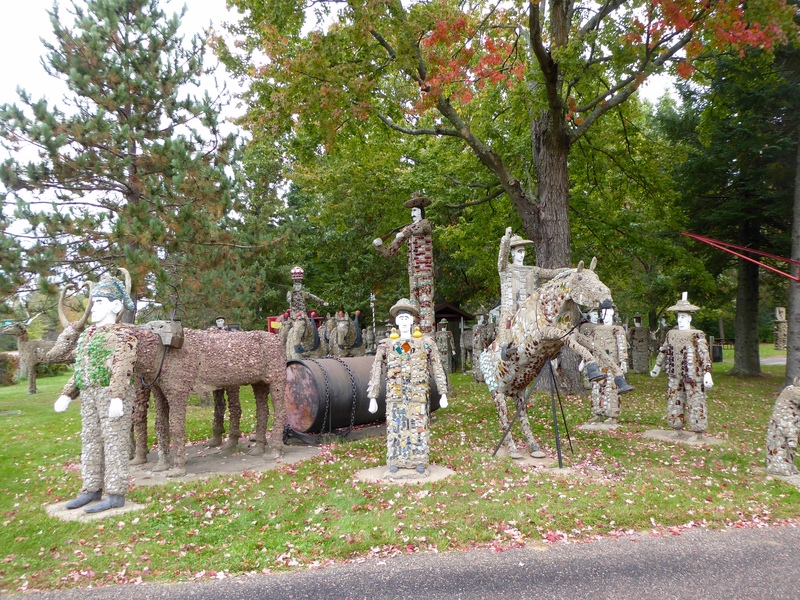 Driving in Phillips, Wisconsin, we had to turn around. Wisconsin Concrete Park looked so interesting, we had to see it. 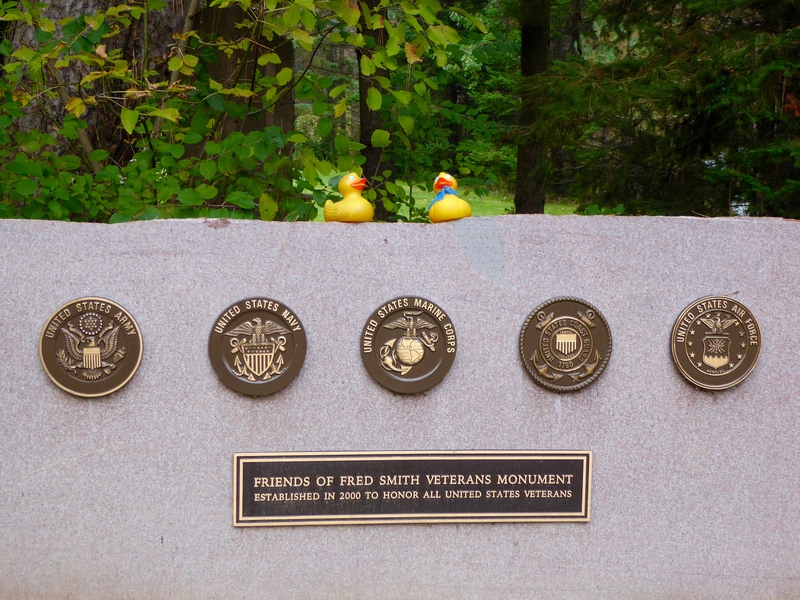 Here is the Friends of Fred Smith Veterans Monument. This statue is Iwo Jima. It is the Budweiser Wagon, with the dog, Spuds! Wisconsin native, Fred Smith worked as a lumberjack. 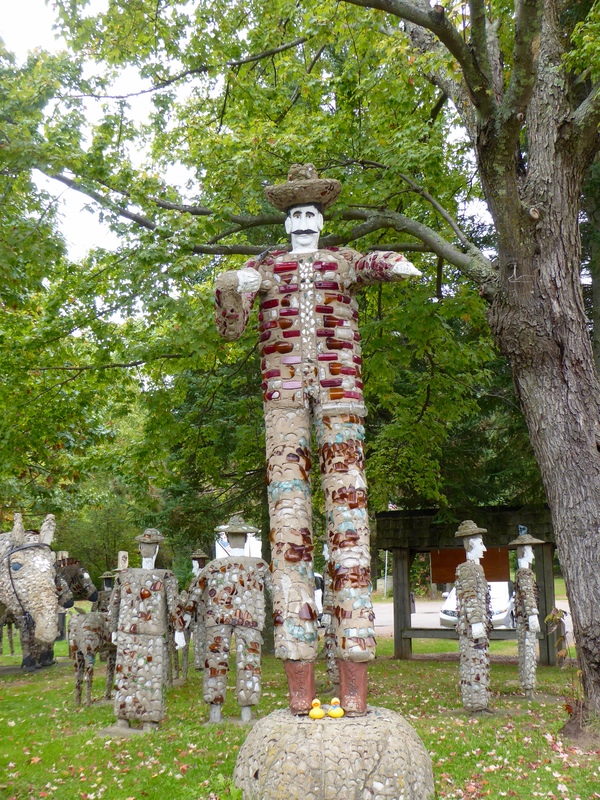 When he retired at age 63, he taught himself how to build sculptures. 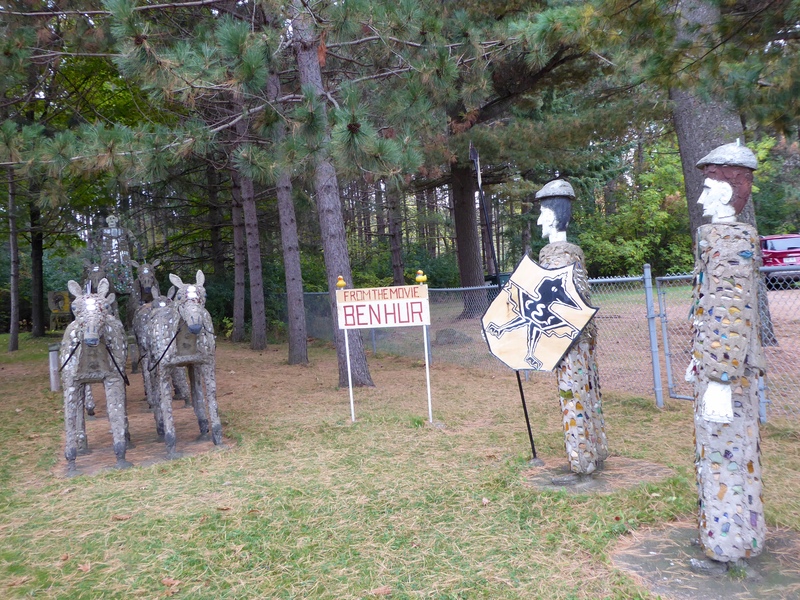 He created over 200 statues that are here, near his home. 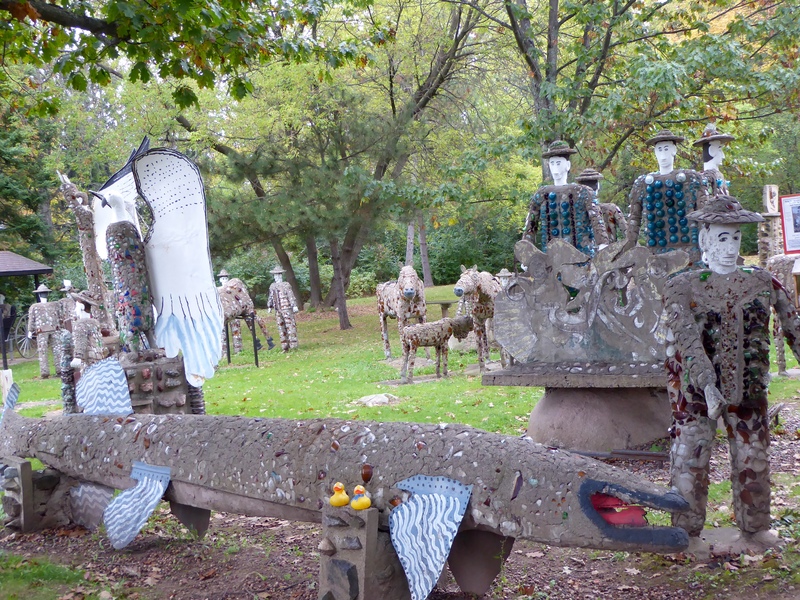 He made concrete sculptures for about 15 years. He passed away in 1976, 90 years after his birth. This is what we saw driving on the highway. 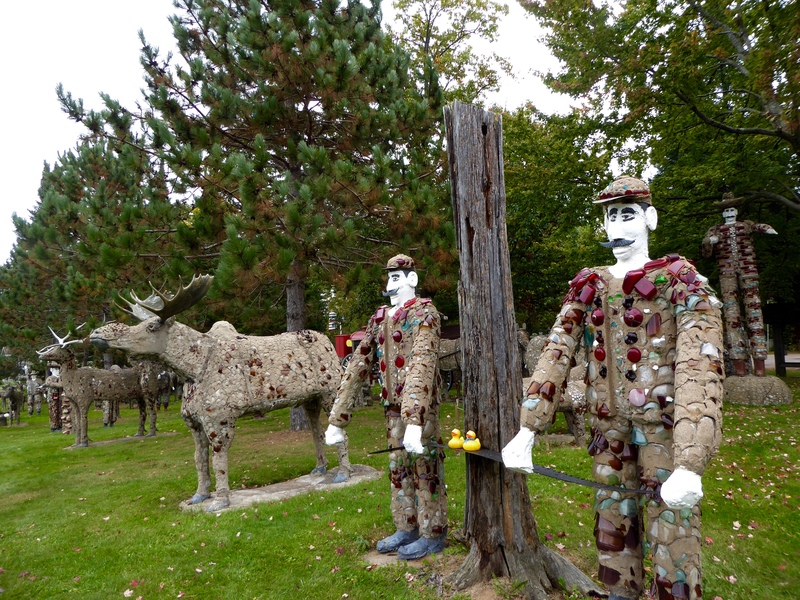 This sculpture of Paul Bunyan is the tallest in the park. Of course, we need lumberjacks here also. Zeb and Soapy are on the saw. 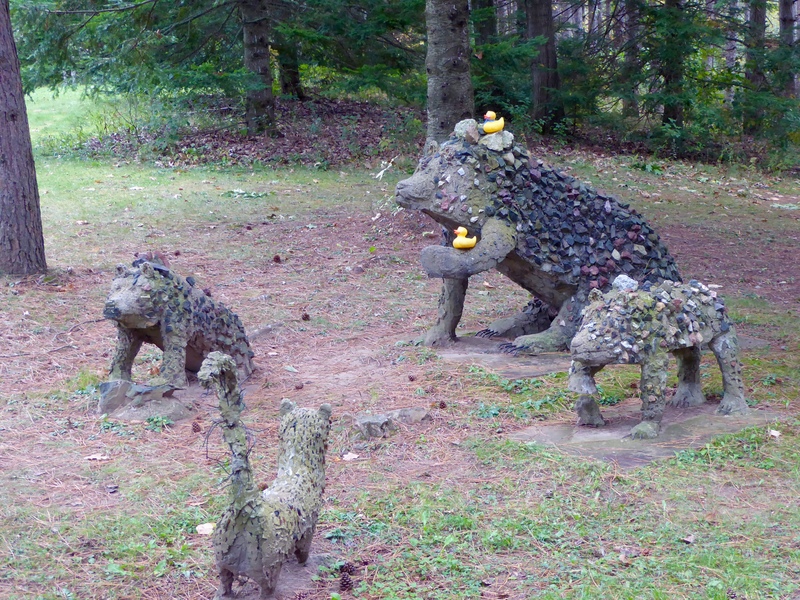 In the north woods, fishing is popular, so here is the fish. 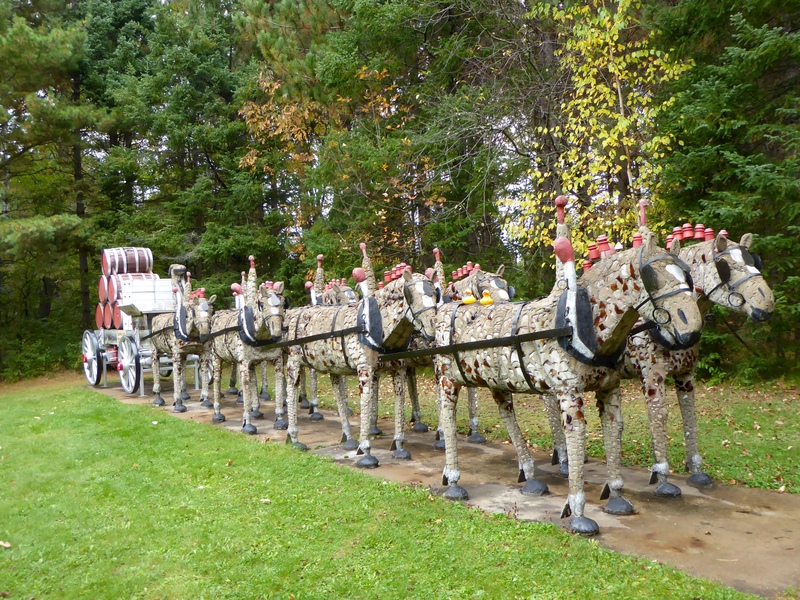 This is one of several horse drawn carts in the park. Nice way to travel. Another group of animals. The movie Ben Hur is featured here. 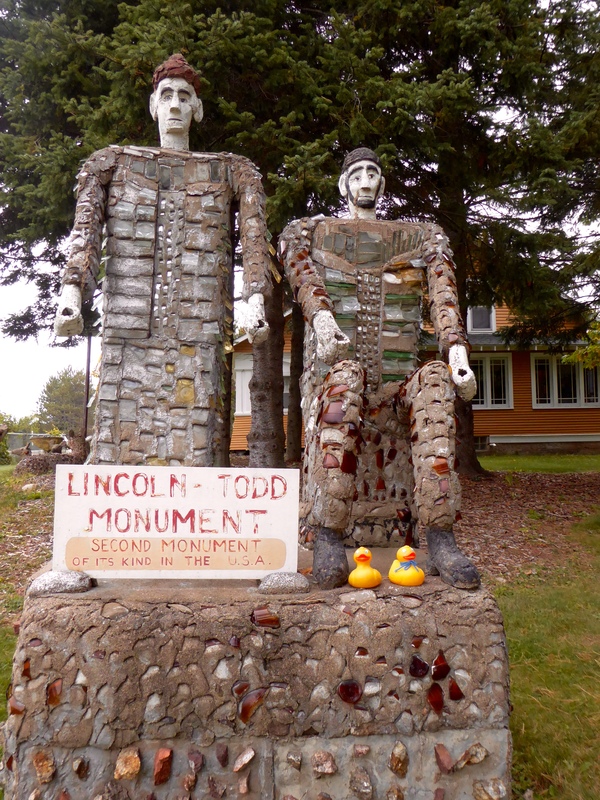 Honoring Abraham Lincoln and Mary Todd Lincoln here. The sign says this is the second statue of its kind. 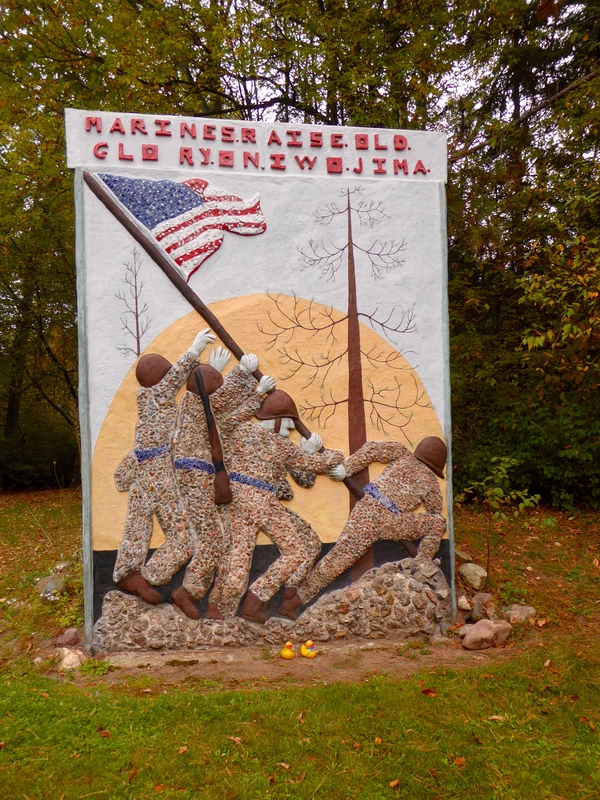 A similar granite statue is in Racine, Wisconsin, but it was not made by Fred Smith. 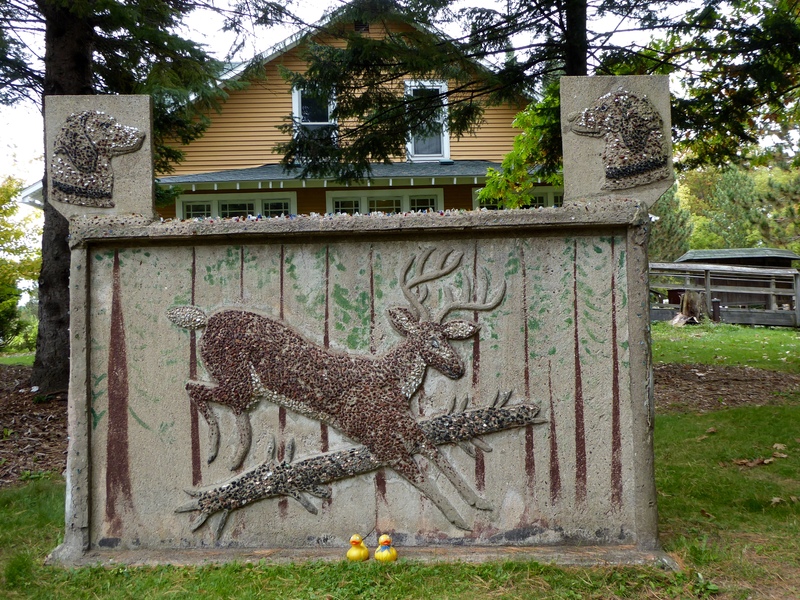 We liked this deer. Of course, fireplaces are so relaxing. We, Zeb and Soapy Smith Duck, have never seen anything like this. It is fascinating. 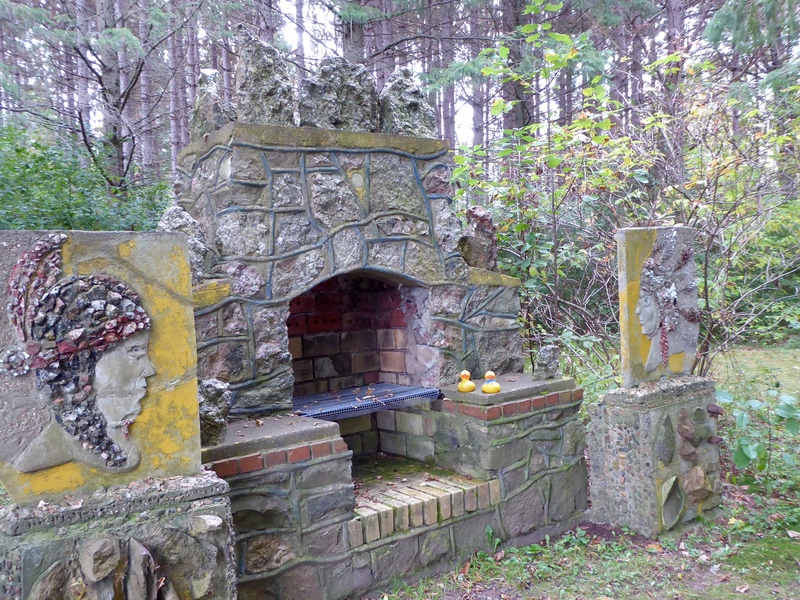 For more information visit http://www.friendsoffredsmith.org If you are near Phillips, Wisconsin, we hope you stop and walk through this park. 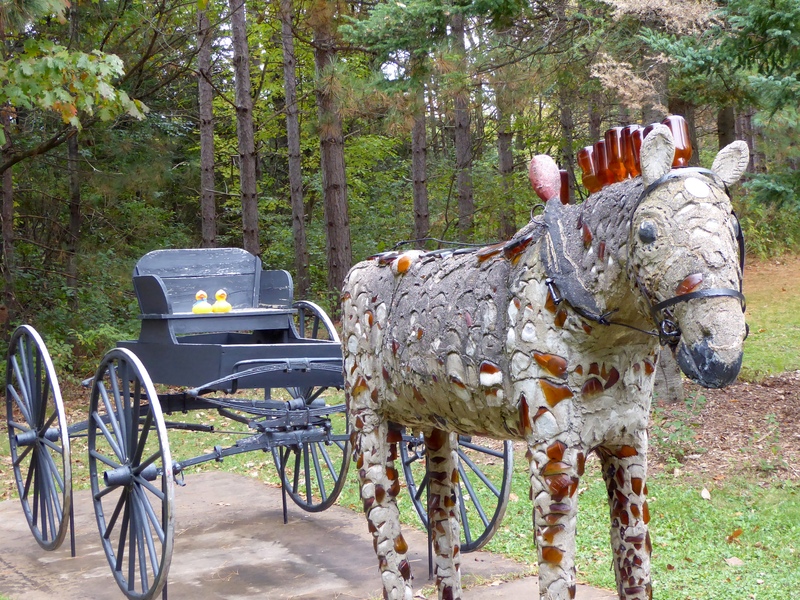 This entry was posted in Uncategorized, Wisconsin and tagged Ben Hur, Budweiser Wagon, Colorado Traveling Ducks, Fred Smith, Lincoln Todd Monument, Paul Bunyan, Phillips, Wisconsin, Wisconsin Concrete Park. Bookmark the permalink.